This probably one of the oldest songs you will hear from guys in the gym. Comments like I am a hard gainer or I have a fast metabolism are way too common. I personally believe these excuses are BS. Anyone can gain muscle, there is no such thing as a hard gainer. Truth is a person's genetic makeup has something to do with gaining muscle mass but it's not the only factor that determines how big you get. 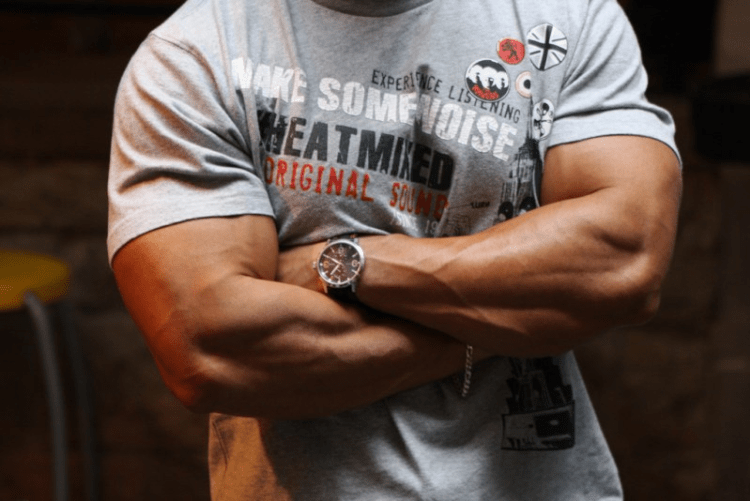 Below I will discuss 5 reasons why you can't gain muscle. The way they got big is by working hard. Yes, they took steroids but all that did was add the finishing touches to their gains. 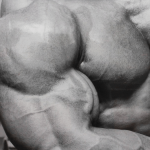 If you want to get big there are 5 basic things you need to do to get massive. Lifting heavy is essential for stimulating new muscle growth. This does not apply to all muscle groups. I say this because of shoulders, they don't require as much weight to stimulate muscle growth. Back, legs and chest require lifting heavy weight to increase muscle mass. I don't expect the novice bodybuilder to start lifting heavy, you need to start slow. After you have perfected your form you need to make personal challenges for yourself. 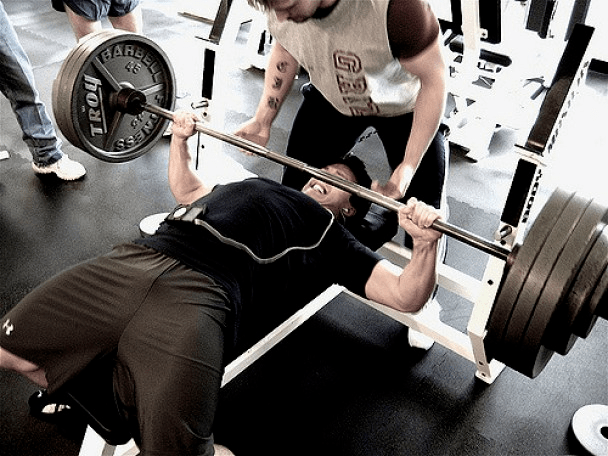 If you can, find a friend (spotter) that way you can max out your lifts and increase the weight. Every week your challenge should be to increase your lifts by 5-10 lbs. This will make you stronger and will help you build muscle. Remember to keep your sets to no more than 3-4 and your rep range between 6-8. When trying to increase muscle mass keep it simple, lift heavy and stick to compound movements. A bowl of cereal for breakfast and a grilled cheese sandwich for lunch is not going to help you pack on muscle. Lifting heavy will stimulate your appetite. Eggs and oatmeal are cheap. Your muscles need protein and carbs and lots of them “that is if you want to get big”. For every pound of body weight, you should be getting at least 1 gram of protein. If you weigh 150 pounds you need a minimum of 150 grams of protein per day. Remember not everyone's metabolism is the same. I know guys who need 1.5 grams of protein per pound of body weight. Eggs, lean beef, and chicken are all good sources of protein. If you train your muscles hard your body needs time to recover. For optimum muscle growth, training one muscle group per day is ideal. If you train each muscle group with intensity, you need rest, if you wake up the next day and you are not sore you most likely did not train that muscle hard enough. If you are truly taking your training seriously you have probably noticed you feel weak and lethargic. This is mainly because you are not providing your body with the essential nutrients it needs. Even if you are eating the right foods sometimes that is not enough. When you train with high intensity your body needs BCAA's, protein, vitamins, and minerals. If you are not supplying your muscles with proper nutrients your muscles can't grow. There are plenty of high-quality supplements and legal steroids that can help give your body what it needs. It's important to make certain nutrients available to your body when it is required. The above are just some basic suggestions. Most of them are common sense but are often overlooked. The most important thing you can do is listen to your body and see how it reacts. You may need to change things up a bit for your particular body type and metabolism but if you stay consistent and follow the guidelines you will not only become stronger you will increase dense muscle mass.